This product will add 0.31€ to your cashback account. Imagine borrowing a credit / debit card and pulling off the magnetic strip right in front of the spectator! 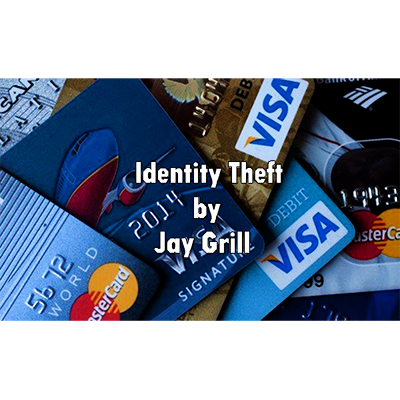 With Identity Theft you walk up to a spectator and explain how identity theft is a big deal right now, and before we had the internet, crooks would have to memorize your numbers while standing behind you. Your spectator accepts the challenge and you give them 5 seconds to remember as many numbers as they can. While failing to remember all the details you point out how the all your information is simply stored on the magnetic strip. From there you VISUALLY peel of the magnetic strip in front of them and restore it back to normal. You START CLEAN and END CLEAN! Everything can be examined at the end! New Methods with Original Handling Ideas! Can Be Borrowed and Examined!